It's almost April and the sun is out and snow has melted and... 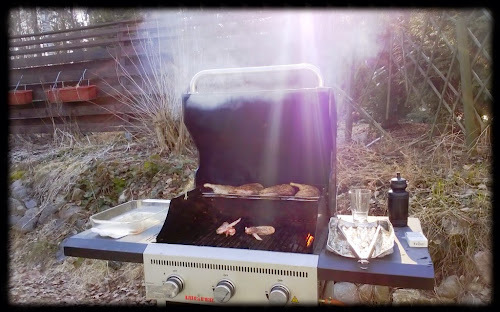 According to the weather forecasts we still may get some cold and snow next week, but inspite of that, we took out our grill yesterday. Not all of the patio furniture yet, but the grill <3 And we grilled some duck for dinner. So much better start for the season than last year with that small temporary grill!